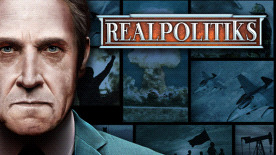 Realpolitiks is a streamlined real-time grand strategy game that allows you to become the ruler of any contemporary nation. Dive deep into the issues of the modern world, with its current geopolitical borders, using your country's power and economic strength to engage in military conflicts and international affairs. Choose your own method of coping with other nations' interests, unexpected events, global threats and various crises. Deal with the disintegration of the European Union, the expansion of Islamic State, the aftermath of World War III and many other real and fictional scenarios.